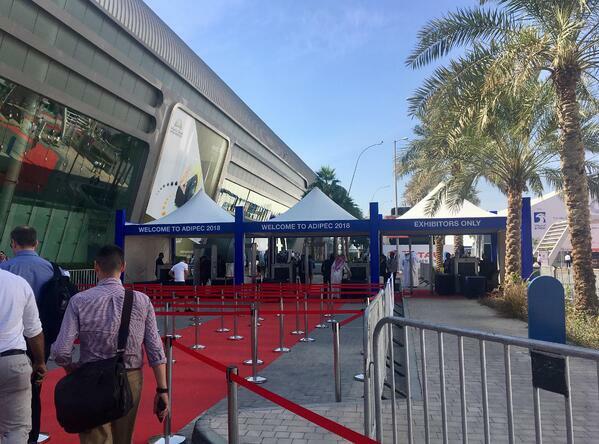 The SAS-ES team are just back from attending ADIPEC 2018 in Abu Dhabi, one of the key global gatherings for the oil industry. As part of the Scottish Development International delegation we met up with clients, partners and friends. Events like ADIPEC are always a great way to take the temperature of the oil industry, and in this case of the Middle East oilfield market. It was clear at ADIPEC that oil waste management is increasingly a priority in the region. SAS-ES are committed to provide a unique solution to the oil waste problems facing the industry. We have worked in the region for nearly 4 years now and some new and very exciting projects are moving towards kick-off time. We plan to keep you all informed of these. Our activities in the region include oil slops treatment and we will also be expanding our work in the area of drill cuttings cleaning, where our unique chemical technology provides a low cost, high capacity way to treat oil cuttings. Drill cuttings treatment work will be progressing with at least three partners and clients, and we hope to add to that list in the coming months. We are also just months away from starting work with the Takreer refinery project, using our very own SAS MIST process. This will be in place in Abu Dhabi in the very near future. The MIST process is capable of treating oil slops, oil sludge and drill cuttings. Over the past few years SAS-ES have strived to build strategic relationships with a number of key local partners, in both Dubai and Abu Dhabi, and as a result have secured significant interest from a number of major additional local players. We are also working closely with partners in Oman and Saudi Arabia to ensure clients there will also have access to our unique waste treatment processes and chemistry. Overall it was a very productive and successful week, making us very excited for things to come. 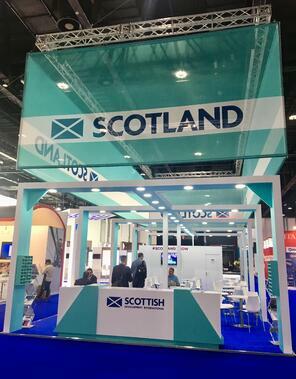 Thank you again to those who met with us, to those who came to see us at the Scotland stand, and to our friends, clients and supporters. Finally a big thank you to the team at Scottish Development International for their hard work and support, it is much appreciated.